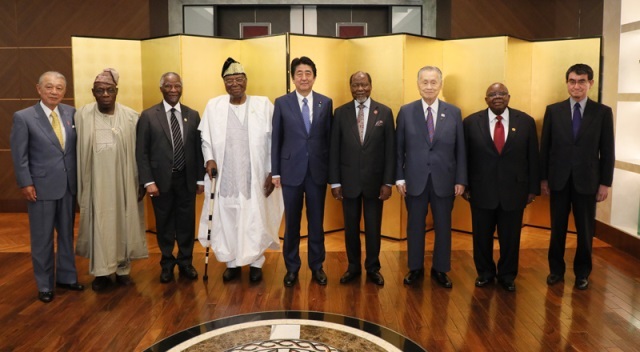 The Ministry of Foreign Affairs and the Nippon Foundation co-hosted the Core Group Meeting of the Eminent Persons Group on Peace and Stability in Africa on 31st August and 1st September. Five former Heads of State were invited to the Meeting with the aim of suggesting proposals in the field of peace, security and stability in Africa. In the opening of the Meeting presided over by H.E.Mr. Yoshiro Mori, Former Prime Minister of Japan, H.E. Mr. Shinzo ABE, Prime Minister of Japan, H.E. Mr. Joaquim Alberto CHISSANO, Former President of Mozambique, H.E. Mr. Taro KONO, Minister for Foreign Affairs of Japan and Mr. Yohei Sasakawa, Chairman of the Nippon Foundation, made statements. 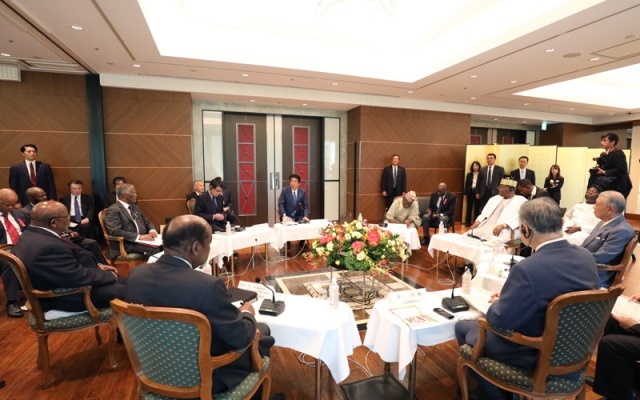 Among them, Prime Minister Abe mentioned that, listening to the frank views from each Eminent Person on the challenges and measures toward the realization of the peace and stability in Africa through the Meeting, he would like to make use of the discussion in preparing for TICAD 7. In addition, Foreign Minister Kono stated that, in conflicting states and fragile states, institution building and human resource development form the foundation of the peace and stability of those countries and Japan will support the nation-building of African countries including through its assistance in the above-mentioned fields. After that, members from both Japan and Africa conducted an active discussion on several topics including challenges which should be tackled by Africa itself in order to ensure peace, security and stability in Africa. During the discussion, some members emphasized the importance to make efforts to secure national unity and promote institution building and expressed their great expectation to the Japanese efforts in such areas through TICAD process.